Did you know that Locate a Locum isn’t just for your desktop? You can download it straight to your phone or tablet to stay better connected to your pool of locums and fill shifts more easily. The Employer App works in much the same way as the desktop platform. Just log in, advertise your job and then wait for applications to roll in from the 4000 locum pharmacists currently registered with Locate a Locum. What makes the app different, is that you don’t have to be actively using the app to find out when a locum has responded to your post. Instead of waiting to open Locate a Locum on your desktop, the app sends you push notifications whenever an application comes in, meaning that you can keep on top of your shifts better and fill schedules with ease. It also means that if you are on the go between meetings or commuting, you can still manage your schedules and locum shifts effectively - there is no longer the need to be at your computer to make sure your work gets done. If you are an employer at a pharmacy, your next hire may be just a few clicks away. 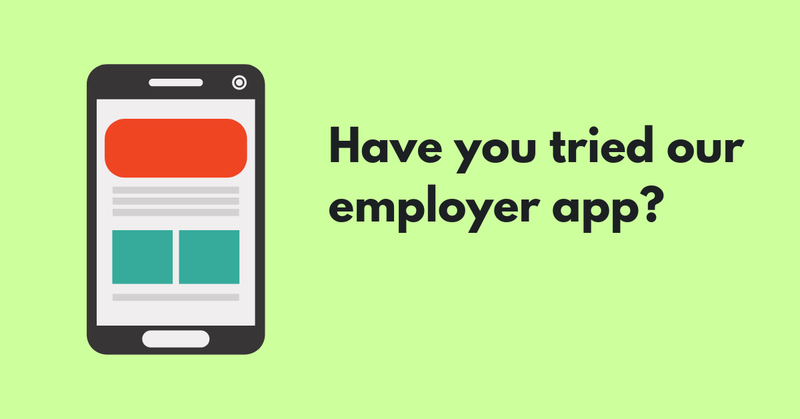 The Employer App is available for download from both Android and Apple App stores now.